On January 11, 1964, at a crowded press conference in Washington, D.C., United States Surgeon General Luther Terry released Smoking and Health, a report of an advisory committee that had been charged to review all of the published scientific research on the health effects of smoking. The report’s unequivocal conclusion that cigarette smoking caused lung cancer and other diseases was supposed to end the debate about the dangers of tobacco that had raged for decades, if not centuries. This exhibition retraces the battles over smoking in the 40 years since the Surgeon General’s report, as seen through the eyes of the nation’s newspaper editorial cartoonists. These trenchant works of art satirize cigarette company executives and lobbyists for seeming to believe that the only addictive thing about tobacco is money. 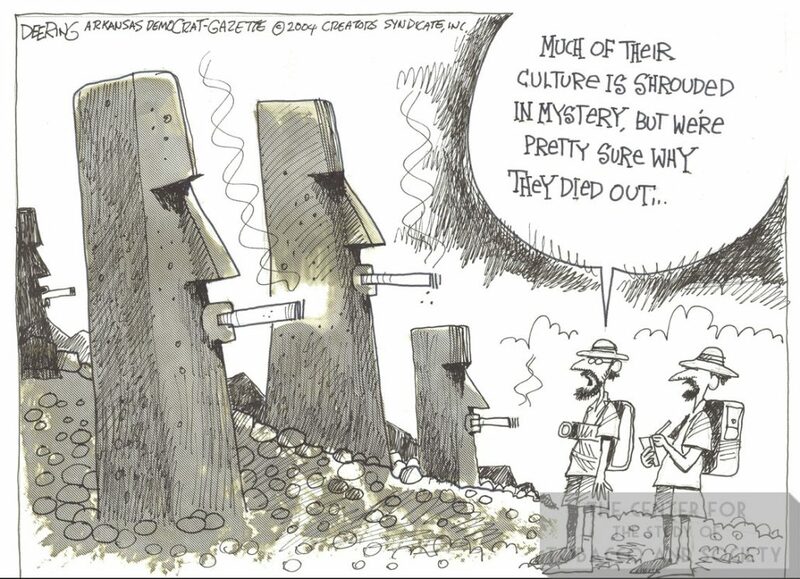 The tobacco industry’s opposition to restrictions on smoking in public places, as well as its circumvention of curbs on cigarette advertising, has provided fodder for editorial cartoonists. But the artists have also poked fun at anti-smoking fervor and the hypocrisy of state attorneys-general for seeking cash damages from the tobacco industry, with which the states had long been in cahoots. Progress in reducing smoking has come about slowly because of the failure of the very forces that should have been in the vanguard to end the tobacco pandemic. Medical associations, universities, newspaper and magazine publishers, sports and arts organizations, political parties, and many elected officials have accepted money from the tobacco industry and have not been prepared to bite the hand that feeds them.